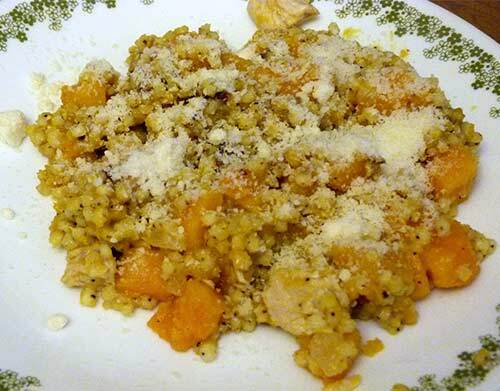 Here is a tasty dish using whole grain sorghum in place of rice for risotto. I added chicken breast pieces to this recipe to make it more like a casserole/all-in-one dish. I found that my cooking time for the sorghum was longer than the original recipe, possibly because I live at a higher altitude and things like rice and beans take longer to cook here. 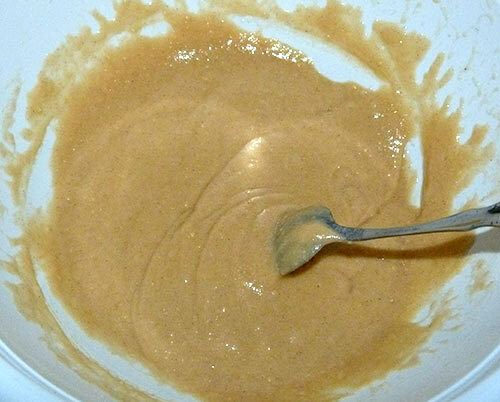 I didn’t have any vanilla beans or paste, so I used vanilla extract. I’m sure it would be even better with real vanilla. Butternut squash has a very tough skin and is difficult to peal and cut up, so be sure your knife is sharp and you are very careful. Here some good instructions if you have never done it. Cut chicken breasts into bite-sized pieces. Brown chicken in olive oil until cooked through, seasoning with salt and pepper to taste. I used a little onion powder, also. Set the cooked chicken aside in a covered dish to keep it warm. 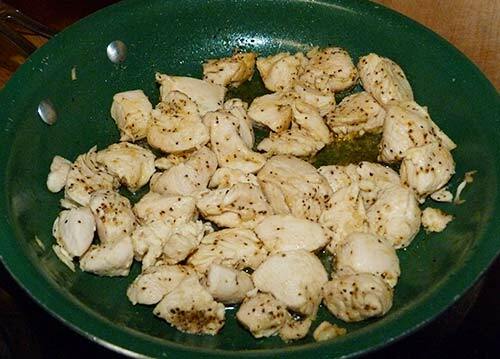 Cook chicken breast pieces in olive oil until just done with a little salt and pepper. Chop butternut squash and onions. Bring to a simmer; reduce heat to low. Add squash, cover and cook until tender, about 5 minutes. Use slotted spoon to remove squash to a side dish. Turn heat on broth to very low and cover to keep warm. 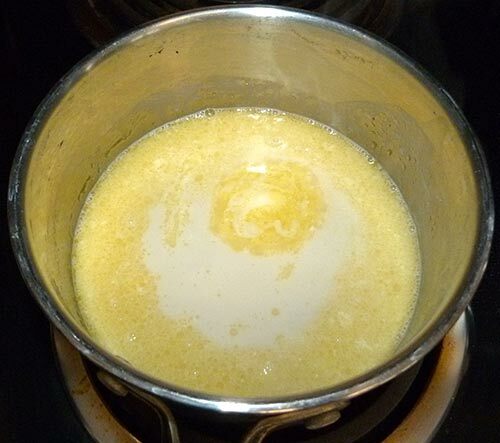 Meanwhile, in a large saucepan or skillet, melt 2 T of butter over medium heat. Add onion; sauté until tender, about 3 minutes. Add the sorghum; stir to coat with butter. Add wine and simmer until almost evaporated, about 3 minutes. 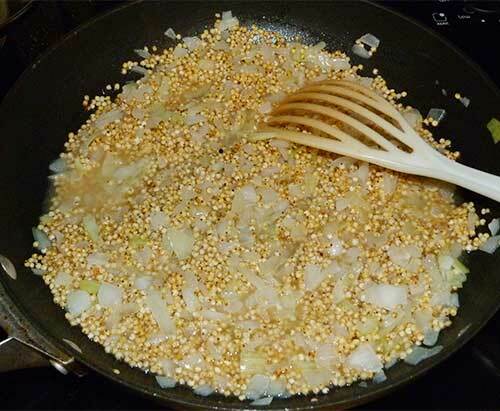 Wine and sorghum added to sautéed onions. Discard vanilla bean. Turn off heat; gently stir in squash, cheese and remaining butter, salt and pepper. 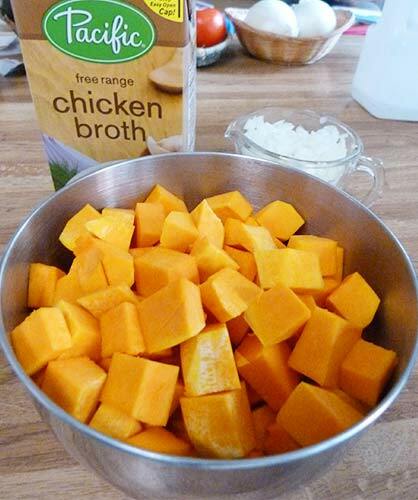 Add squash and chicken after cooking the whole grain sorghum in the chicken broth. Transfer to a serving dish and sprinkle with chives or additional Parmesan. Serve immediately. I added the Parmesan to the risotto on the plate. 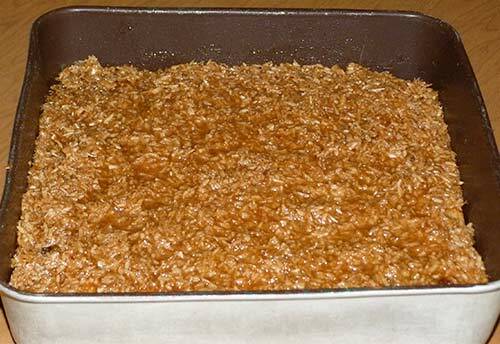 Recipe Developed by Barbara Kilment, Executive Director – Nebraska Grain Sorghum Board. 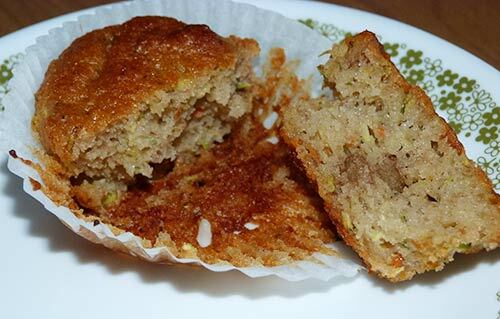 These healthy muffins are good for breakfast or snacking. I added walnuts to make them even healthier. I also added a little xanthan gum (the original recipe didn’t call for it) to help them hold together better. They turned out really light and moist. I didn’t put the “frosting” on mine, but I’m sure that would make them even better. Preheat your oven to 350F. 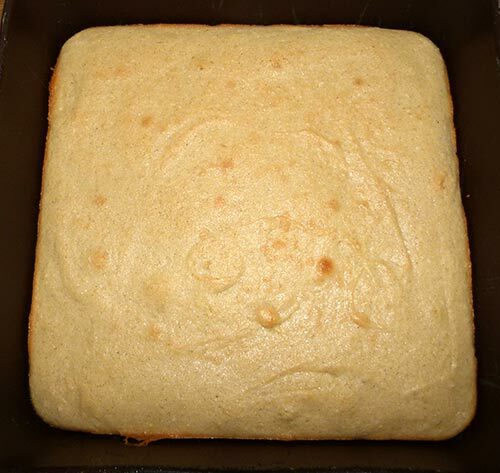 Spray muffin tin with no-stick spray or line with paper liners. I didn’t have enough paper liners, so I sprayed my second tin. Shred the carrots and zucchini. I used a small food processor. 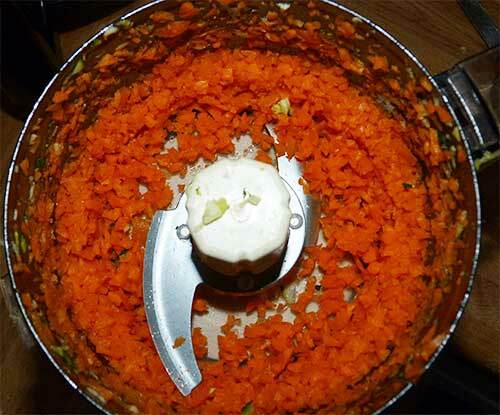 Carrots shredded in food processor. 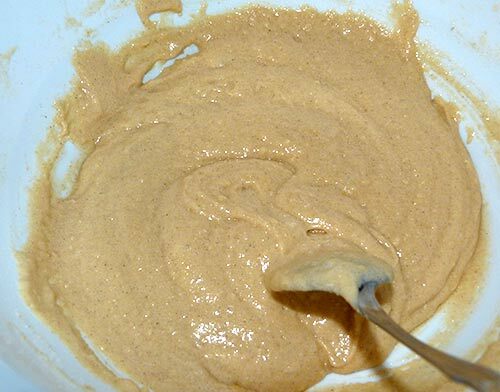 Combine the almond flour, sorghum flour, baking powder, salt, and cinnamon in a large mixing bowl. 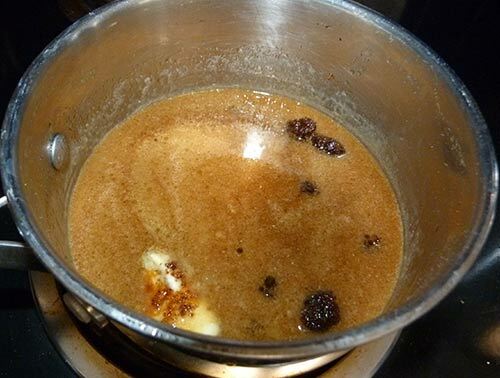 Add the honey, oil, and eggs and stir with a spoon until well combined. The batter will be thick. 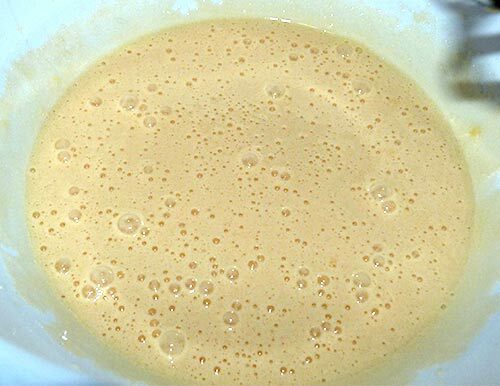 Eggs, honey and oil mixed with dry ingredients. 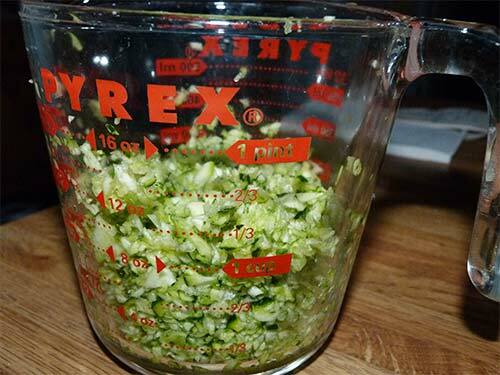 Add carrots, zucchini and walnuts, if you are using, and mix until evenly distributed. 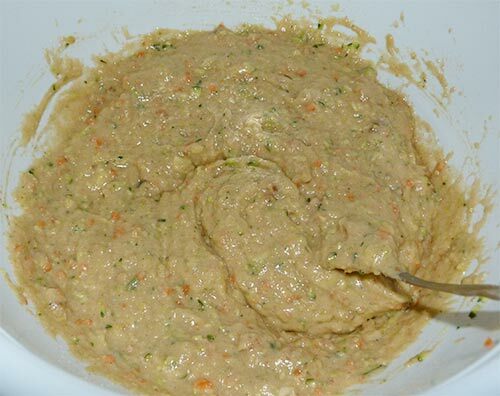 Vegetables and walnuts are stirred into the batter until mixed evenly. 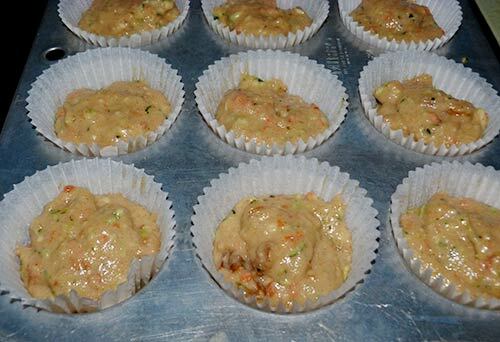 Fill each muffin tin cup about ¾ full of the batter. I didn’t have enough paper liners for the second batch so I sprayed the pan with olive oil spray. 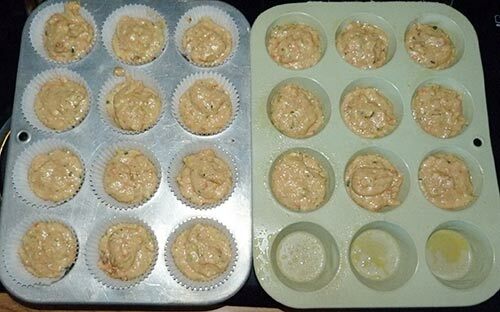 Muffin batter ready to bake. Bake for 30-35 minutes. Let cool before frosting, if desired. 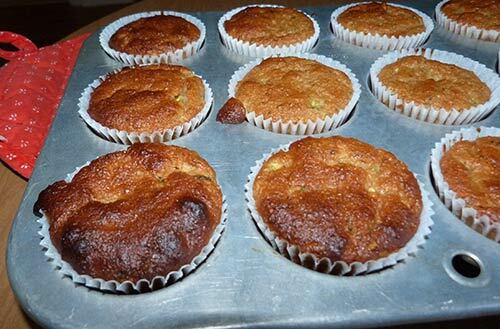 Bake muffins until golden brown on top. You can change the proportion of carrots to zucchini – just be sure the total amount of shredded vegetables in the recipe is the same. The muffins turned out light and moist on the inside. Whip the cream cheese until light and fluffy. 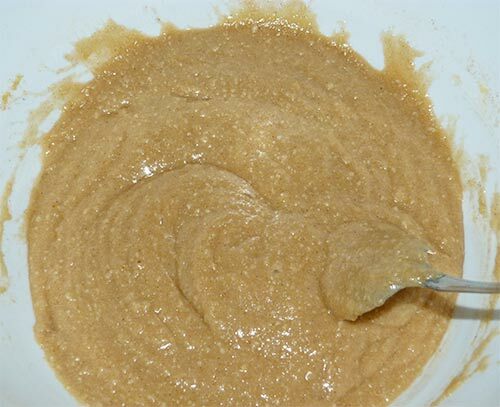 Add the honey and continue mixing until combined. Makes about 1 1/2 dozen muffins. Adapted from recipe at FlippinDelicious.com. The ground is like a giant dog newspaper – SNIFFING it is how I keep up with CURRENT EVENTS! 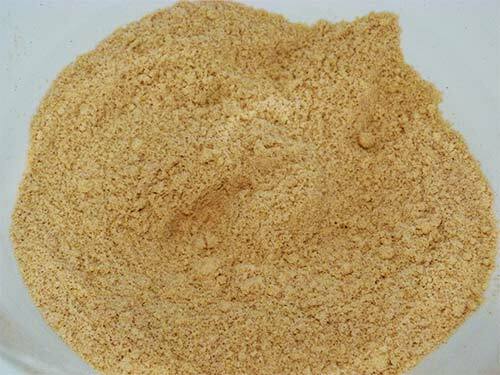 Whole grain sorghum is an especially versatile ingredient in gluten-free cooking. 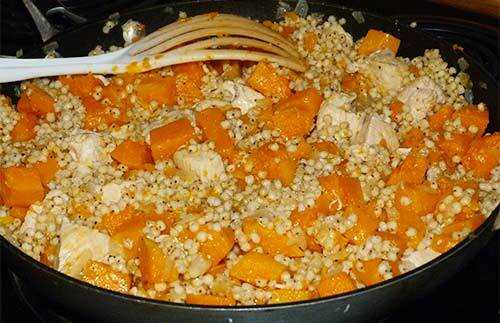 It can be used in place of couscous, bulgur or pearled barley. Nutritionally, sorghum contains more protein than typical wheat substitutes such as rice. 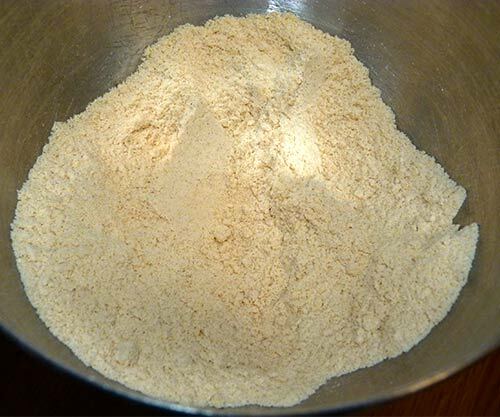 It is rich in antioxidants, which makes it a safe, delicious, and healthy choice for a gluten-free diet. You can find more information about sorghum and additional recipes in this Sorghum Handbook. 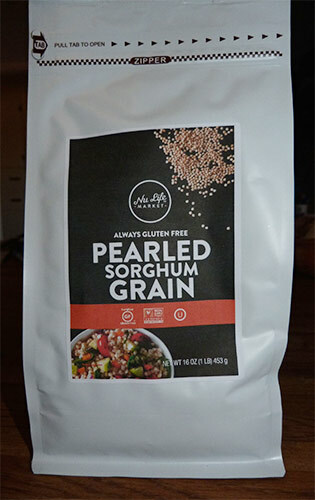 I purchased this whole grain sorghum online from Nu Life Market. The instructions for cooking the sorghum in this recipe are a little different from my previous recipes, but worked really well. Toasting the grains in olive oil before cooking gives the sorghum a nutty flavor I really like and complements the garlic and onions. 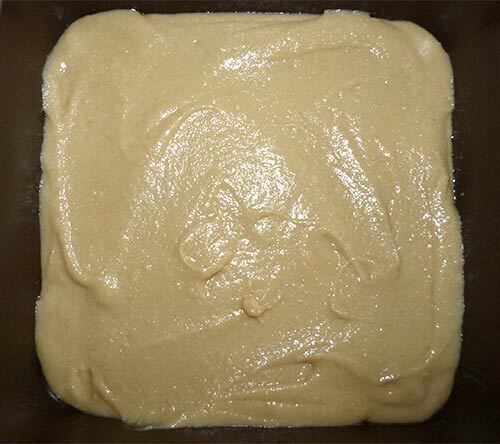 Nu Life Pearled Sorghum has Nu packaging! Chopped carrots, celery and onions. Rinse sorghum kernels and drain thoroughly. In a heavy 3-quart saucepan over medium-low heat, combine sorghum and 1 Tbls olive oil. 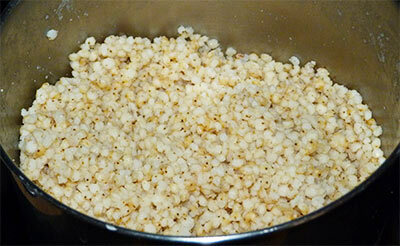 Stirring constantly, gently toast sorghum in oil for 2-3 minutes or until lightly browned. Add chicken broth. Bring to a boil and reduce heat. 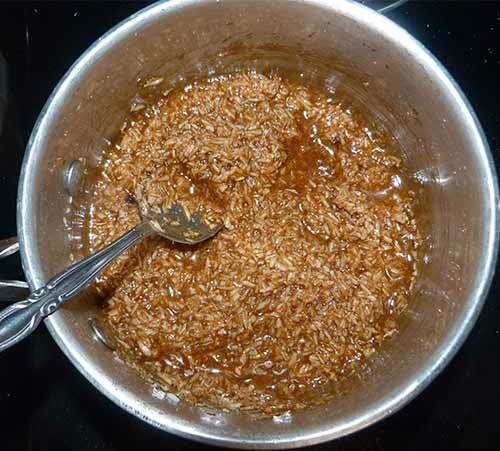 Cover and simmer for 45 to 50 minutes or until broth is absorbed and grain is tender. Drain excess liquid, if necessary and set aside. Sorghum cooked in the pan. In a large skillet, heat 1 1/2 Tbls olive oil over med-high heat. 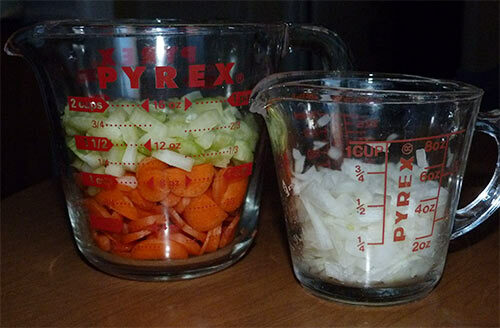 Add carrots, celery, and garlic and sauté for 3 to 5 minutes until tender crisp. 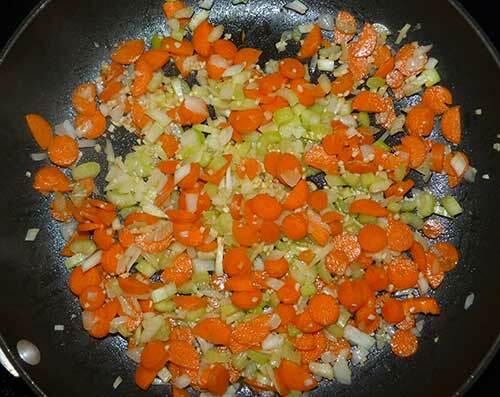 Sauté carrots, celery and onions in olive oil. Add onions, nuts and tomatoes. Cook for 2 to 3 minutes or until nuts begin to toast. 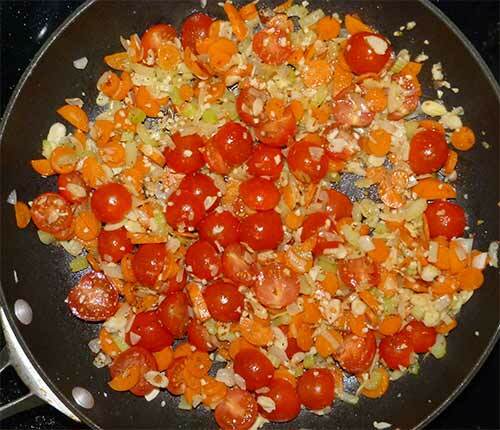 Add tomatoes and slivered almonds. Add cooked sorghum and heat through. Season to taste. Transfer to casserole dish or large platter. 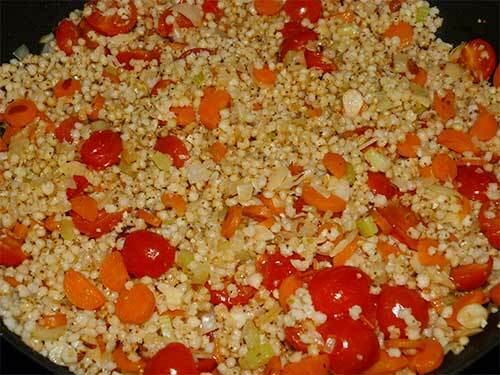 Whole grain sorghum added to the vegetables and cooked until heated through. Garnish with sprigs of parsley and additional toasted nuts. Serve hot. Serves 6 (1/2 cup portions). SMILE and the world smiles with you…slobber and they’ll put you OUTSIDE.